At Vitex, we're making it simple and affordable for you to intelligently control virtually any device in your home, from TV's to thermostats to streaming audio and video, no matter where you are, using one easy-to-use interface. Dream Big Start Small Got your dream of concept control? We'll make it a reality. Because Vitex solutions are entirely modular, it's easy to add more control to your home over time. Start simply with any of our options. You can always add more features and functionality when time and budget allow. There's no such thing as starting from scratch. We are a Home Automation and Home Security company. We make home automation fun and easy while protecting your home at the same time! "Our Mission Statement" Dedicated to enhancing the quality of your residential environment. Experience the warmth, excitement and simplicity of systems integration. Select Home Automation understands that integrating technology into a home can create unnecessary stress. Our step-by-step consulting process ensures your comfort throughout any project. We provide solutions to today common smart home issues and are experts in home automation and home entertainment. We have earned a reputation for holding onto values that seem missing from many of today home automation companies. We care about you and want to see you enjoy the investment you are choosing to make in your home. We understand that each home is distinct in its design and layout. As such, we will customize an ideal solution that incorporates the specific characteristics of your home to create the ultimate design and experience. We have spent years working with customers who have varied tastes, budgets, and desires. As such, we work diligently to design and install systems that meet the specific goals of each consumer. As design experts, we also understand the need for simplicity and reliability. Technology does not have to be intimidating or complicated if it is done properly. Give us a call and see for yourself the difference an Elite System Design can make. AVL Pro is a recognized home media design company based in Naples, Florida dedicated to bringing you excellence in home system integration. Since 1976, what makes Stereo Types different is the high-touch service we are known for. We carefully listen to your needs to ensure we meet and (from what we’ve heard) perhaps exceed your expectations. Finally, we treat you the way we would want to be treated. We pay close attention to everyone’s needs, not just the men. We care deeply about how well the solutions we provide integrate into your space. From the placement & styles of speakers, to control panels on your walls to even the smallest of details; such as the screws on the light switch plates all facing the exact same direction; Stereo Types treats every home with the utmost care and every client as our number one priority. Our staff are all carefully vetted, including background checks to ensure they are not only technically the finest people available with different areas they excel in, but also trustworthy and honest. If the details are as important to you as they are to us, you need not look any further for your home entertainment and technology needs. Your Tech is an integrator and consulting firm specializing in high end residential luxury technology. 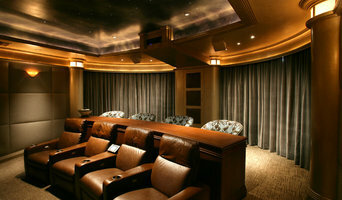 Today's luxury homes are known to feature standard technology including home theater, automation, security and cameras. At Your Tech we envision something much more - a true living transformation. Original living spaces are brought to life when we create our version of artwork that integrates elegantly or disappears entirely within the home's design. Your Tech's technology concierge service provides incomparable customer experiences by consistently fulfilling our promise to deliver best-in-class systems, with service to match. New!Com Audio Video Systems provides high quality installations for home theaters, media rooms, and background music systems. 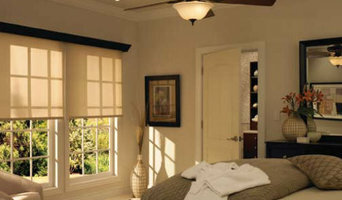 We specialize in home automation control for audio, video, security, lighting, thermostats, shading, and appliances. We have expertise in computer IT service, repair, networking, wifi, wiring, and support. We create a communication backbone utilizing all types of low voltage wiring for new/existing home building and commercial businesses. We are a licensed certified electrical specialty contractor in the state of Florida (ES12001250). We are trained and certified members of the Custom Electronic Design and Installation Association (CEDIA), and are members of the New Jersey Business and Industry Association. We are fully insured and have been in business for over 18 years. NewCom is an on site business. Service calls are available by appointment only. A privately held company, Techknowledgey LLC, was founded by three driven individuals who wanted to build a better AV company. The owners of Techknowledgey have over fifty years of combined experience in the world of audio/video installations, lighting integration, computer networking and programming. Located in Bonita Springs, Florida, Techknowledgey is situated in the center of Southwest Florida’s urban development. This allows us to offer our services to clients from Marco Island to Fort Myers and beyond. The self-funded company focuses on installing, programming, and servicing high-end residential audio/video systems, lighting and computer networking. With 25 over years experience, Design Electric continues to be your leading source for lighting and audio-visual expertise. Mitch Fogelman is a Master Electrician and lighting designer whose meticulous attention to detail is unrivaled. As a consummate perfectionist, he brings an expert eye to all his projects. By using the latest in technology and design trends, he brings your vision to a beautiful and functional reality. In collaboration with the highly skilled technical and support team, behind the scenes, each project is engineered and executed specifically for each unique client. Select Home Automation understands that integrating technology into a home can create unnecessary stress. Our step-by-step consulting process ensures your comfort throughout any project. Let our team of friendly, knowledgeable experts take the hassle out of electronic systems integration. Experience the Select Home Automation difference - Call us today at 239-571-2304 for a free in-home consultation! We are a Licensed and Insured Audio/Video and Security Systems Custom Integrator specializing in all phases from Sales, Design and Engineering to Installation and Service. AVision Technology is a specialized, niche-segment audio/video solutions provider. Our expertise is focused on designing and installing captivating home theaters, intuitive smart home automation systems, and dynamic whole house set-ups that captivate residences and exceed expectations for personal entertainment. We take a wish-list entertainment dream and transform it into a visual reality. We provide forward-thinking insight on the future of technology, which enables our client/partners to have the tools to blend seamlessly with the products of tomorrow. LET US TURN YOUR VISION INTO REALITY! Luxury Entertainment Systems, LLC is a high end home automation & home security technology integrator. We make your home automation and business security systems seamless and easy to use. For more than 20 years, we have provided the ultimate home & business automation experience along with customized design, user friendly, systems, comprehensive training, and reliable customer service. For Homeowners, we design & install custom home automation & security systems, integrating your home locks, lights, shade control, thermostats, garage doors, home theater entertainment systems, home video monitoring, and advanced home security into an automated home that responds to your activities, locations, and schedule. For Commercial Clients, we analyze your unique business needs and design & implement custom commercial security , video surveillance, and energy management systems to protect, monitor, & manage your business from anywhere. The products we use and also certifiable training experience are the following; Sonos, Lutron, Araknis, Crestron, SONY, SAMSUNG (URC) Universal Remote Control, and many more.... 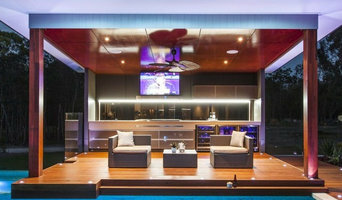 So make Luxury Entertainment Systems, LLC your choice when it comes to any kind of automation needs. Advanced ESI is a multifaceted company. At our core, we design and implement home automation systems. These systems include panelized lighting control, distributed audio systems, distributed video systems, networking, whole home Wi-Fi, access control, security systems, surveillance systems, remote monitoring, HVAC control, and a litany of other fun and interesting systems. If you're the kind of person who loves hosting parties where guests watch the Oscars, the Super Bowl, or the latest sitcom, putting the time and effort into creating a cozy media room or theater in your Naples Park, FL home could be a good investment. But unless you're a wiring and surround-sound guru, figuring out the technical issues can get a little messy. That's where a home media designer comes in. Find a home media designer on Houzz. 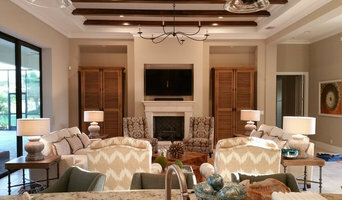 Narrow your search in the Professionals section of the website to Naples Park, FL home media designers. You can also look through Naples Park, FL photos by style to find a room you like, then contact the professional who designed it.